Coming to 3-D Blu-ray on October 4, 2016 with the image mastered and the original stereophonic three-track magnetic audio meticulously restored by Greg Kintz and the 3-D Film Archive! 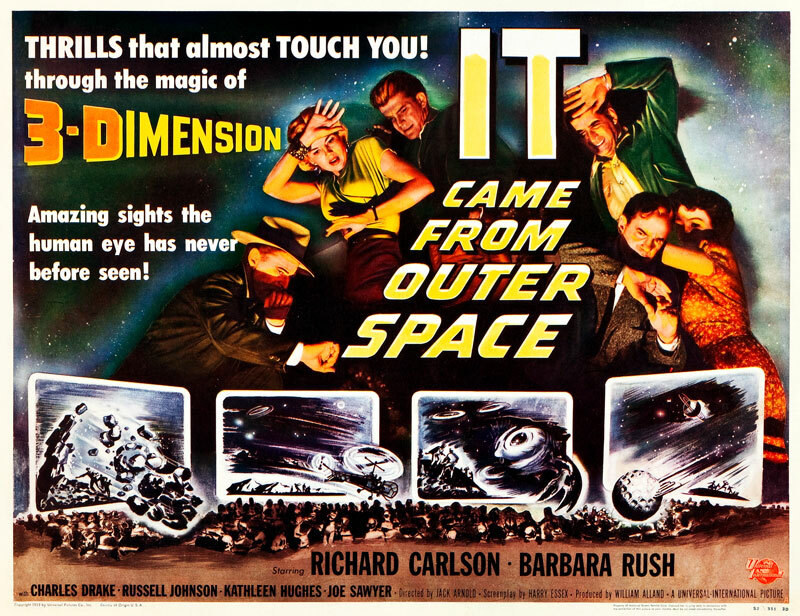 IT CAME FROM OUTER SPACE looks better now than it did theatrically in 1953. For the first time since 1953, you will see IT with the original intermission break. 3-D Myths explains why 3-D features required an intermisson. Exclusive pre-orders are available now from Best Buy!